Respondent Update Mode is the process of allowing your form respondents to return at a later date and update their previous form submission. For example, you could allow customers to log back in and edit their customer profile. 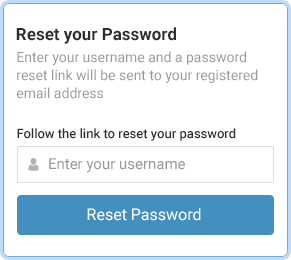 Our Respondent Update mode is a powerful and flexible option and also includes a password reminder feature and integrates with triggers to create powerful forms-based systems. 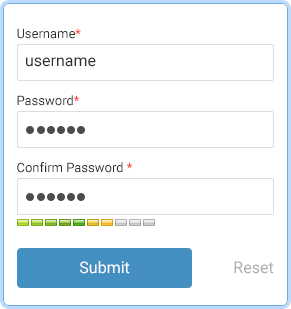 The Username & Password field from our special fields library is the key to respondent update mode; It ensures that each record in your database has a unique username and a valid password. This powerful widget does real-time username validation, password strength checking and more. When you allow a user to return and edit (what we call respondent update mode), you often end up with users who have forgotten their passwords. Don't worry, we've got you covered with an automated and secure password reminder feature. Use a unique Form View for your returning users. Form Views are a great way to customize a form based on how its being used. You can create multiple views of the same form, each with different fields and help copy, and use them where appropriate. For example, you may want to display a different set of fields to your returning respondents. After a user logs back in and updates their submission, the Respondent Update Mode Emails allow you to send a different notification and autoresponder than when the form was originally submitted. We've thought of everything, from the big features down to the small details that give your project that professional advantage.